I hope your weekend was spectacular!!! I had a great one...busy, but GREAT! Here is a digi page I made over the weekend. Ashley and I went shopping on Friday night and grabbed dinner at our favorite spot...I had a Diet Coke with my dinner and for some reason I was wired for the entire night. I got home at 9:30 pm and stayed up editing pictures/digi scrapping until 2 am. I could have probably stayed up longer, but decided to hit the hay. I was happy to at least finish my page. 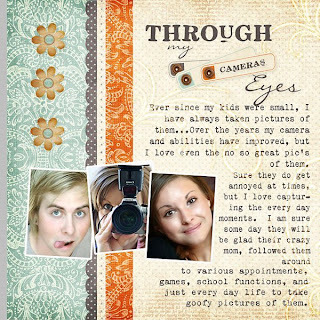 I am a huge fan of Janet Phillips, I have been reading her blog and purchasing her digi templates for at least a year now. 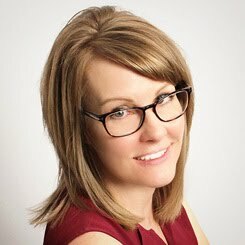 I love her new website, The Daily Digi...you can download this great template (scroll down) for FREE!!! And the kit I used was The Village Market from the Digi Files #3 it is $5 for a bunch of stuff (kits, alphabets, embellishments, quick pages, etc), which she previews on the DD site during the sale period. Okay...I am ready for another week! I think it is almost Tuesday there, right?